Competitive Intelligence lets you to take an analytical look into how your competitors are performing in different aspects of their marketplace. Being able to benchmark your own performance against your competitors can allow you to analyze the areas in which you are being outperformed, and therefore have room to grow. Follow this workflow to spot the areas for your potential growth. We break down the process into three main steps; finding backlinks opportunities, unveiling keywords, and finding topics for new content. The example website used for this workflow was swimmingpool.com. 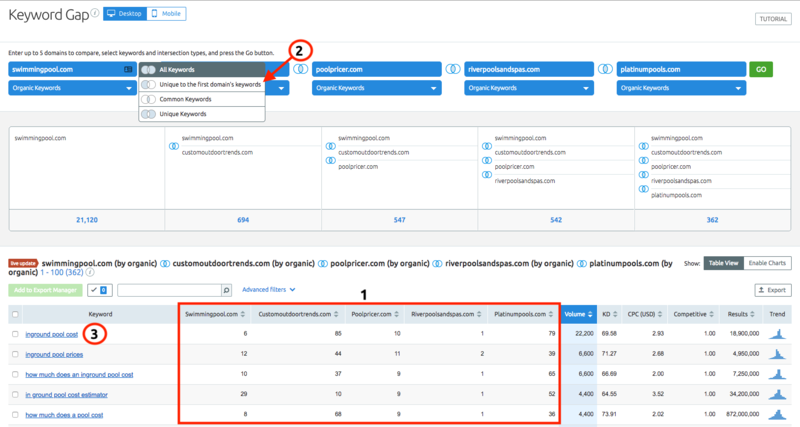 Once your competitors are identified, you can analyze their backlink profiles in order to spot new backlink opportunities for your own domain. Take 4 of your top competitors and enter them into the Backlink Gap to see how your backlink profiles compare. See where a competitor may have a backlink and you do not in order to create a new backlink opportunity (1). You can make this process even easier by filtering to see immediately what opportunities you’re missing. Look at the “Matches” column to find referring domains that 2 or more competitors have that you do not (2). 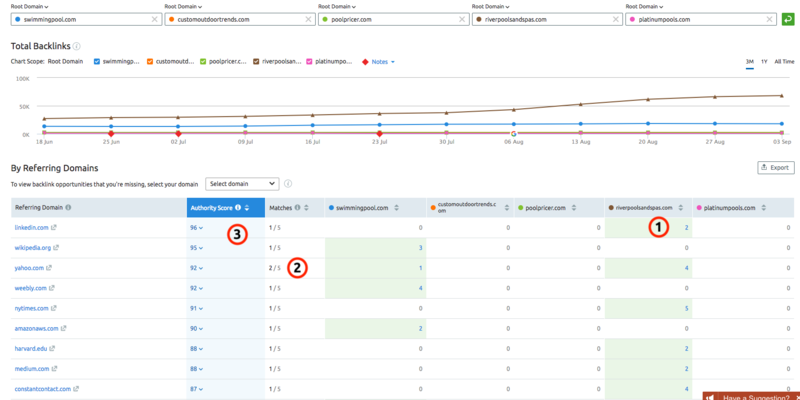 Analyze the authority score to see if the backlink is worth your time to reach out with a link request (3). Just like with your backlink profile, there are opportunities for new keywords that your competitors are ranking for that you are not. 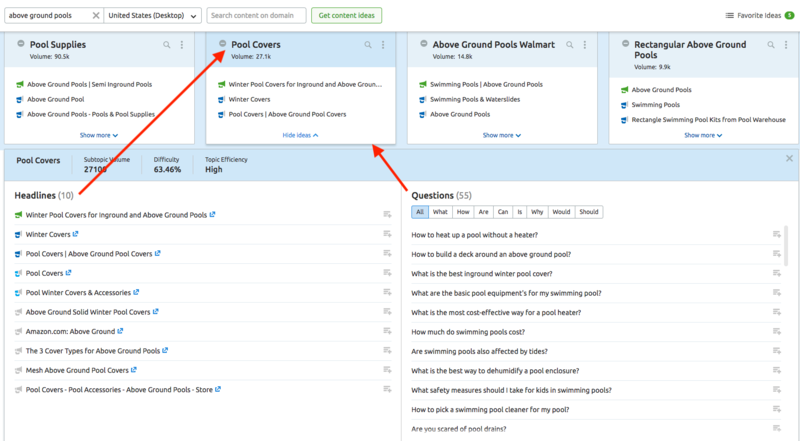 Enter these same competitors into the Keyword Gap to do this same comparison but now with keywords instead of backlinks. View the site position of all of the common keywords between you and your competitors to see where you are being outranked (1). Switch from common keywords to unique keywords to see new potential keywords you aren’t currently ranking for but can target in the future (2). Find new keywords that you can save to your overall keyword list for future use (3). Enter a topic into Topic Research. Use these ideas for developing new content on your own site After following these three benchmarking processes, you will be able to get a better understanding of the opportunities for growth to catch up to your competitors. You can create content around the topics and keywords you’ve discovered and eventually reach out to build links from the domains that are linking to your competitors.